MHI Manufacturer of the Year 2015 | Cavco Industries, Inc. The Manufactured Housing Institute recognizes outstanding industry role models and leaders. This distinguished honor is a testament to the quality of our people, our homes and our customers. 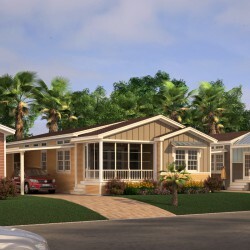 We build the best manufactured homes! On April 15, 2015, the National Industry Awards were presented during the Manufactured Housing Institute’s (MHI) 2015 National Congress and Expo for Manufactured and Modular Housing, recognizing companies from all sectors of the manufactured and modular housing industries for outstanding achievements. During this event, Cavco Industries, Palm Harbor’s parent company, was honored to receive the award for Manufacturer of the Year 2015 for an astounding sixth year in a row in recognition of the company’s leadership to the industry at large. The company was also received several awards for innovative designs. Every year MHI industry members vote for the companies they consider the best in their sector for leadership and commitment to the industry during the last year. These award winners are chosen by their peers to be honored with the prestigious manufactured housing industry awards. The Manufactured Housing Institute (MHI) is the organization representing all segments of the manufactured and modular housing industries. “These award winners are leading the way in providing outstanding products, customer service, creative solutions and state of the art homes for today’s homebuyers. They are being recognized today for their leadership, vision and dedication to enhancing and moving the manufactured and modular housing industries forward,” said MHI President & CEO Richard Jennison. 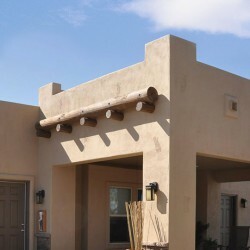 Cavco Homes, Inc., headquartered in Phoenix, Arizona, designs and produces factory-built housing products primarily distributed through a network of independent and company-owned retailers. The Company is one of the largest producers of manufactured and modular homes in the United States, marketed under a variety of brand names including Cavco Homes, Fleetwood Homes, Palm Harbor Homes and Nationwide Homes. The Company is also the leading producer of park model RV’s, vacation cabins, and systems-built commercial structures. Cavco’s subsidiary, CountryPlace Mortgage, offers conforming mortgages to home buyers. Its insurance subsidiary, Standard Casualty, provides property and casualty insurance to homeowners. See www.cavco.com and www.parkmodels.com.